Thank you to everyone who submitted work and attended the Poets 11 branch readings this summer! We received a fantastic array of poems from every district in San Francisco that reflects the City's diversity of language and culture. Please see below for the list of 2016 selected poets. Presented by Friends of the San Francisco Public Library and their Poet-in-Residence Jack Hirschman, together with the San Francisco Public Library, Poets 11 is a citywide poetry contest and reading series that collects poems from every neighborhood in San Francisco and features poetry readings at branch libraries in each of the City’s 11 districts. Selected poets are presented with a $50 honorarium and their poems will be published in the 2016 Poets 11 Anthology (purchase the 2014 Poets 11 Anthology here!). 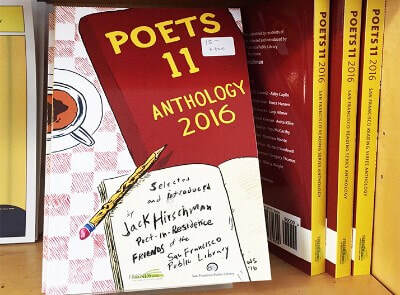 2016 POETS 11 ANTHOLOGY NOW ON SALE!The 2016 Poets 11 Anthology is a compilation of poems submitted by residents of San Francisco's 11 districts, selected and introduced by Friends of the San Francisco Public Library's Poet-in-Residence Jack Hirschman. Purchase your copy today in our Readers Bookstores or online here! 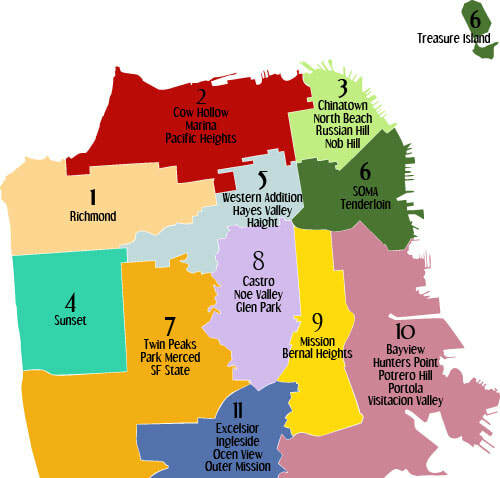 Proceeds from book sales support the San Francisco Public Library. Congratulations to the 2016 selected poets!